Join our team of hardworking professionals. The most comprehensive roofing solutions in the Northeast. Trusted partners in long-term roof management. At Industrial Roofing Companies, we offer comprehensive industrial roofing, siding, and solar roof systems to commercial building owners and public institutions in the Northeast. Whether a project requires comprehensive industrial roof inspection, restoration, or maintenance and repair solutions, we are true partners and advisors for our clients–from design to implementation to long-term management. We implement solutions that provide benefits now and well into the future. “My experience dealing with IRC has been excellent. They responded to our request with a comprehensive quote, including three very different approaches, with engineering explanations and technical data for each. After signing, IRC went right to work on the agreed date, finished the job on schedule, and the roof has performed beautifully. My tenants were able to keep production at 100% during the job and have enjoyed the leak-free winter." 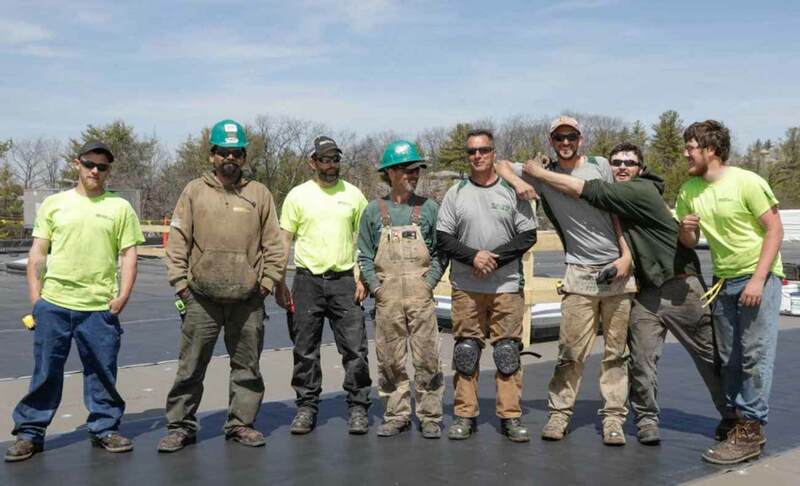 We are proud to support a diverse mix of academic institutions, hotels, athletic centers, corporate buildings, and local businesses with their roofing needs. Great benefits, opportunity to grow, and a supportive team environment. Just a few of the reasons to consider IRC for your next career move.